That's what led me to a greenhouse on the fringes of Hamburg, Germany in 2009 to grow and propagate Tall Bearded Iris. Iris4u Greenhouse Germany, started off as an idea in 2001, traveling from the family Iris Garden in Denver, Colorado across the Atlantic all the way to Germany. 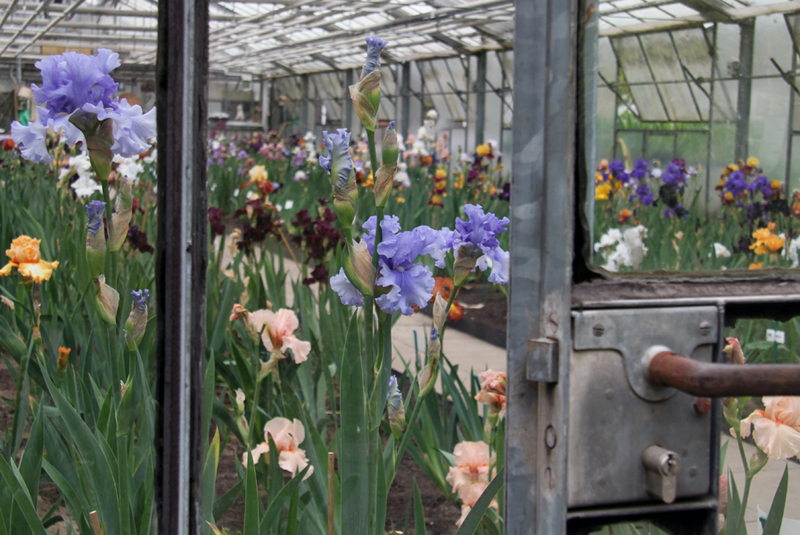 At present, Iris4u Greenhouse has over 300 registered varieties, with the potential to grow even more! A long way off from the first handful of iris in my in-laws' front yard. Flowers and plants are no strangers to me. Growing up in the state of Colorado, the state which is shaped like a box, I spent my early years playing in a greenhouse where my Dad worked growing hanging foliage baskets in the mid to late 70s. Coming full circle, it seems I may have developed a deeper attachment to growing plants than originally thought. Hamburg's excessive moisture compared to Colorado's semi-arid conditions posed several growing challenges. The non-heated greenhouse facility gave me a chance to think "outside the box", offering a controlled growing space to establish new plants from Colorado, easing them into Germany's climate for later transplanting to the outdoors.